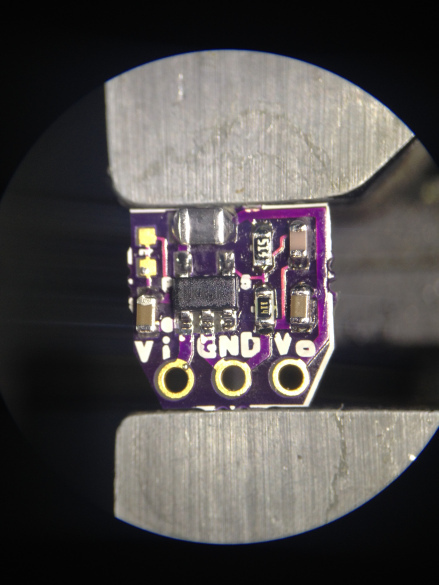 This post is an open source hardware design from Black Mesa Labs for a simple DC/DC converter for dropping 5V to 3.3V ( or adjustable to lower voltages via resistor selections ). The design is based on the PAM2305 from Diodes Incorporated, a great little 1 Amp step-down DC-DC converter in a small TSOT25 package. The PAM2305 supports a range of input voltages from 2.5V to 5.5V, allowing the use of a single Li+/Li-polymer cell, multiple Alkaline/NiMH cell, USB, and other standard power sources. The output voltage is adjustable from 0.6V to the input voltage. More details at Black Mesa Labs site. This entry was posted on Thursday, March 8th, 2018 at 11:20 pm	and is filed under open source, power supply. You can follow any responses to this entry through the RSS 2.0 feed. You can skip to the end and leave a response. Pinging is currently not allowed. He managed to run it at 2.7W output, interesting, since say a 15% inefficiency * 2.7W gives 0.4W, the max thermal dissipation of the package. Personally, I would never run a TSOT switcher at its limits, no need to push my luck. He really needs a different package with that thermal pad and some thermal vias and a copper pour somewhere. Also, note that the 1V 1ohm demo, the efficiency is 61%. This is quite far away from the 70% estd from page 5 of the DS. Since the Vout ripple eqn gives 0.113A, methinks there is some coil saturation. But I am a coward anyway and I would never go near coil saturation loads.